Let's see the proof Oozy. 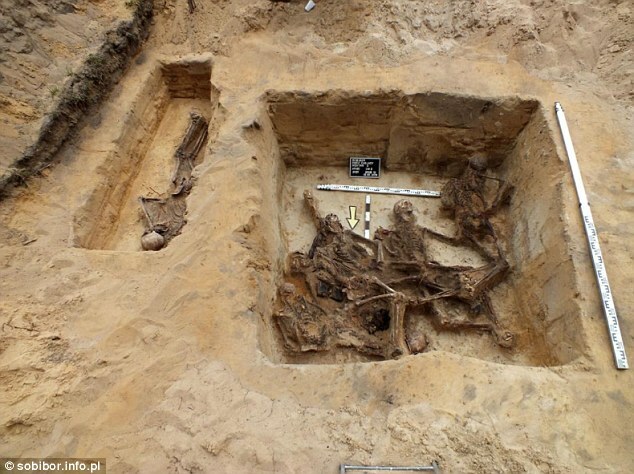 It did not constitute a mass grave in which layers of human remans were deposited. If the answers are 0, then the statement of fact that we are checking is true. If the answers are somewhere between 1-24, then the statement of fact that we are checking is false. So far Oozy has been caught in 5 lies. You are spamming this thread. Not an iota of human remains proven to exist in it. Proven to contain 6 skeletons. Proven to contain 1 skeleton. Proven to contain 2 skeletons. Greg is desperate so he spams in panic. Grave #2 contains bones from the surface to 3 meters deep. In another point in Grave #2 there is even a more significant amount of bones. Greg wants us to believe all these bones belong to less than 7 people. 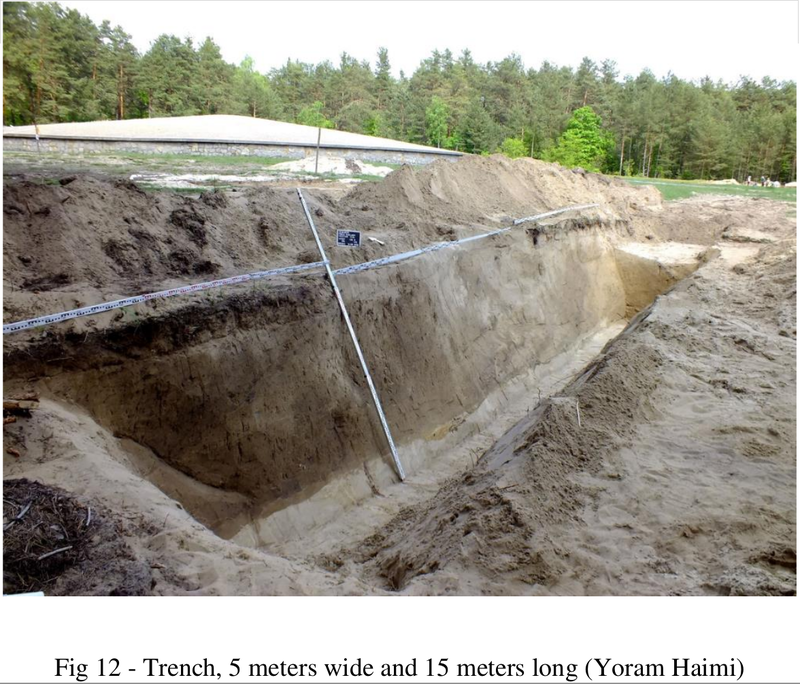 As if there is some mystical connection between all the graves in Sobibor to Grave #12, forcing it to be the largest grave. Unlucky for Greg, this is not the case. Pyrrho wrote: Didn't I ban Greg Gerdes from this forum multiple times? You banned him most recently under the username Wendy O.
. . . Statistical Mechanic (Zero) . . .
Factchecker wrote: So far Oozy has been caught in 5 lies. A liar who projects his dishonesty onto others. I make a comment to Oozy and Gerdes puts me down for a "no", whatever that means... wasn't even talking to the fat twot. I have decided it's time to confront Greg's arguments one by one. Irrelevant. 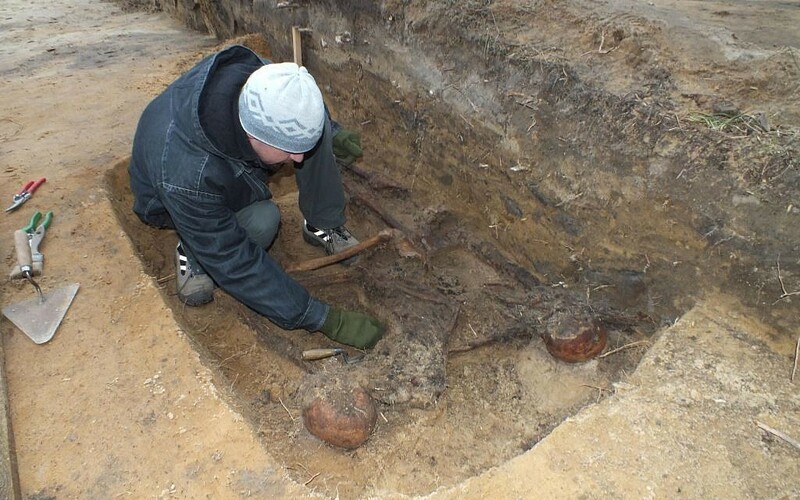 The Poles declared them as mass graves in 2001, but Haimi's findings rule them out as mass grave. It doesn't mean people are not buried there. They are just not buried en masse. Also, where is grave #4? Also, where are graves #6 and #7? Where is grave #15, btw? Show the quote by Haimi where he declares these sites as "huge mass graves". I just checked again Haimi's work. Surprise. Greg lies again. depth. It contained three layers of human bones. Greg, the liar, claimed Haimi said grave #8 got no bones. 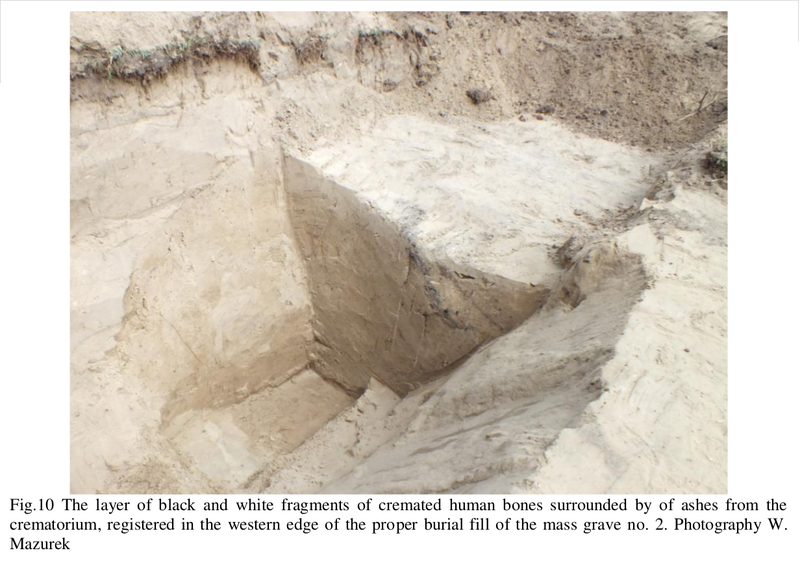 Burnt, unburnt and crushed bones were discovered on the surface over Graves Nos. upper layer of grass and the surface soil (Fig. 9). Pay attention, Greg claimed no human remains were found in Grave #3. (Fig. 13). The finds match those of the 2001 excavation. Notice the bones here were unburnt. Thanks. He is banned again. I do not knowingly allow previously-banned users to post here. Statistical Mechanic wrote: What's with all the slashes? They make it very difficult to read Mr Gerdes' false claims. Starting hereare some more of same, when you, er, Greg used the moniker WendyO. Let's see how long this lasts. Greg was able to set out his latest stall and yet once again all of it was a big fail. I'm glad I can finally take my eye off the ball now. I think Oozy had a fair debate with Mr. Gerdes. I have empathy for Greg beyond his formulaic crap and Nazioid behaviour because he is clearly damaged in ways that none of us would wish to imagine, even if what he does is abhorrent, dishonest and at times bordering on the insane. Anyway, he'll either quickly create another sp and get a KO, in round one or give up for a year and come back at some unspecified time in future with another thrilling/boring bout of Gerdesian lunacy. I want deniers to come back to the forum but Greg Gerdes and his various sock puppets add nothing to the discussion here. He offers no arguments worth debating and it seems to me he knows less about the subject than the dumbest twitter denier. It looks like Mr. Gerdes is more than willing to show you "the bona fides:"
Note: Eligible potential claimants will be allowed to personally examine the proof that the ways and means to make good on their promised reward payment truly exists, and if they so choose, witness said proven monetary remittance amount be entrusted to an escrow agent. Amin al-Husseini, the Mufti of Jerusalem who cooperated with Hitler, has written in his memoirs that Himmler told him in 1943 that the Nazis already exterminated 3 million Jews. Has anyone heard about it? Source? Not heard that claim before. It is that time of the year again, where (some) Germans commemorate the bombing of Dresden which killed around 27,000 people in spring 1945. While most do it in normal fashion, there's always the Irving / Tagesbefehl-47 / Hellstorm / tinfoil Reichsbuerger Germans who like to assume between 250,000 to 600,000 were killed, stuff that has been debunked long ago and not worth derailing this thread over. —Winston Churchill, as quoted in a Minute by A.P.S. of S.—Air Chief Marshal Sir Wilfrid Freeman—Jan. 26, 1945 in Air Historical Branch file CMS 608. Now I have tried finding source material for Air Historical Branch file CMS 608 on the net but it only always appears with this phrase on tinfoil sites. That's a good indicator this is a hoax quote (as if common logic wasnt enough), but peculiar sources like that make me scratch my head whether deniers are purposely inventing obscure sources like that to fool people into thinking it must be genuine, or if they based that source off something similar that exists in real life. Aaron, I hunted for that quote. I only found references to it on the regular suspects: Whale, Barnes Review, etc. I’m going to call horseshit on this one unless someone can come up with a real source. I've seen this attributed to an Irving speech at the 1990 Dresden anniversary meeting. Irving doesn't cite this, although he discusses the 26 January 1945 JIC meeting, in his book on Dresden. Gee whiz, they could just use Arthur "Bomber" Harris' statements if they want to do quotation-wars. 1) Get $94K together (not really, ha, ha, ha) and offer up a challenge. 2) Spam that challenge on interweb forums for 17 years. I do not even shrink from a statement that is not going to make me popular in Germany: if the Germans destabilize Europe anew, in some way or other, then partition is no longer what will have to be resorted to, but rather that country will have to be erased from the map, pure and simple. East and West have at their disposal the advanced technology necessary to carry this verdict out." -- Lech Walesa, Polish Prime Minister and 1983 Nobel Peace Prize laureate, as quoted from an interview published April 7, 1990 in the Dutch weekly Elsevier, p. 45. Walesa was/is widely described by the press as a "human rights advocate". It is the link bromberg hoaxers usually shill when trying to cement their claim that 58,000 ethnic german civilians were massacred by the poles.